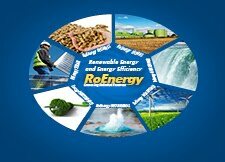 ROMENVIROTEC 2013 - International fair for technology and environmental protection equipment, will take place between 09th -12th April 2013, in the ROMEXPO Exhibition Centre, Bucharest, Romania. ROMENVIROTEC 2013 brings together the most important players on the market that will present on this occasion new products and technologies, therefore offering to visitors the opportunity to make themselves aware of the market trends, to purchase products and services at reasonable prices or to negotiate directly with suppliers. Also, the participating companies can get a complete and updated view regarding the specialized market, in addition, having the opportunity of come into direct contact with existing or potential clients, enjoying the excellent opportunities of signing important business contracts. The campaign used for promoting this event will be intense and extended at central, national and international levels, both through major media channels as well as through the Chambers of Commerce and Industry of Romania, with whom we have already concluded successful cooperation agreements. The conference program that will be organized during the exhibition by the public institutions and specialized companies will touch the most important topics of the international measures for environment protection.